A handwritten will is known as a holographic will. It must be written in the testator’s own handwriting and signed by the testator, according to the National Paralegal College website. It is advisable to review the laws of your state regarding holographic wills because if your holographic will does not conform to the requirements of your state, it will be deemed invalid. Even though it is necessary for other written wills to be witnessed, a holographic will does not need to be witnessed to be legal; it simply needs to be signed by the testator, according to the FindLaw website. In cases of holographic wills, the testator’s handwriting usually must be verified after death. For example, the Shelby County website states that in Tennessee, two individuals must attest to the authenticity of the handwriting. The rules for handwriting verification may vary from state to state, so it is important to know your local requirements. Handwritten wills present some definite problems for the courts: It is easy to tamper with them and they are often difficult to verify. Many courts are, therefore, reluctant to accept them. 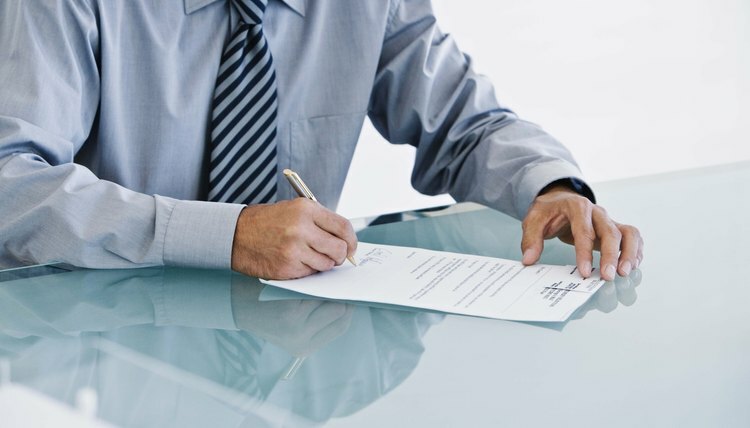 As a general rule, holographic wills should always be dated in the testator's own handwriting. It is important to note that if the will is not accepted, the decedent’s property will be dealt with as if he died intestate, or without a will. Holographic wills are not accepted in all states. In fact, according to the FindLaw website, only about half the states recognize them. Furthermore, while some states insist that the entire document be written in the testator’s handwriting, other states will accept a holographic fill-in-the-blanks will. Some states that do not recognize holographic wills still will honor them if they were written in a state that does recognize them. Before making a handwritten will, it is, therefore, essential to find out whether or not it can be recognized in your jurisdiction.